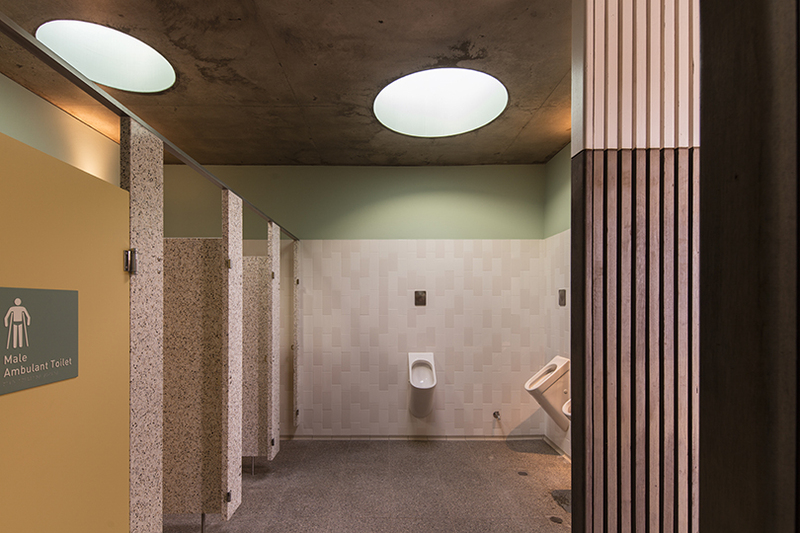 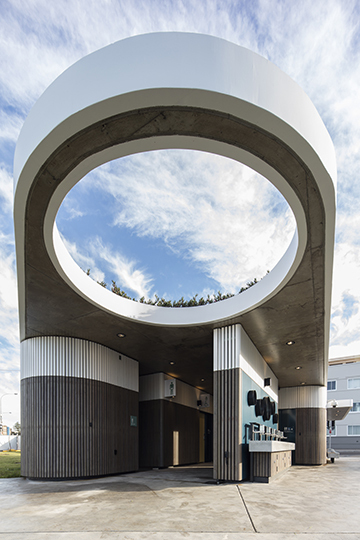 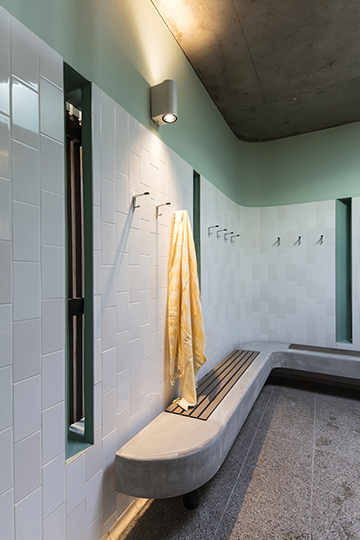 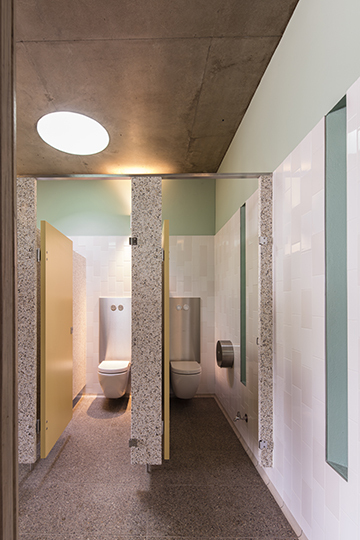 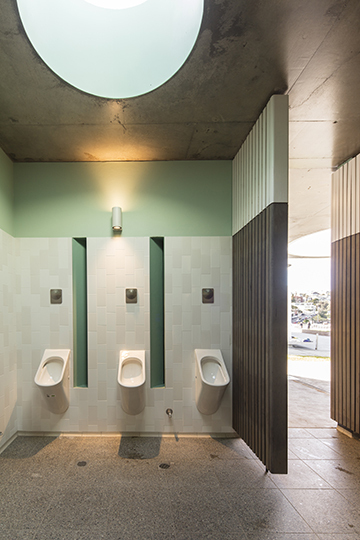 Grindley Interiors were engaged by Waverley Council under a construct only contract to complete the demolition of North Bondi public amenities. 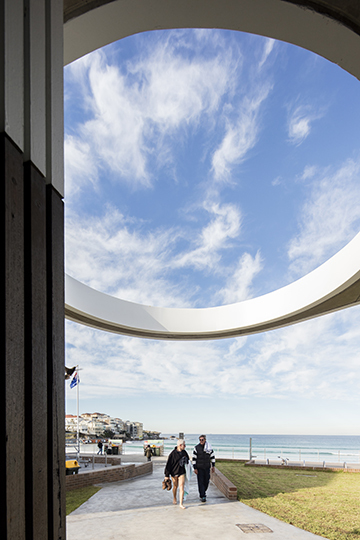 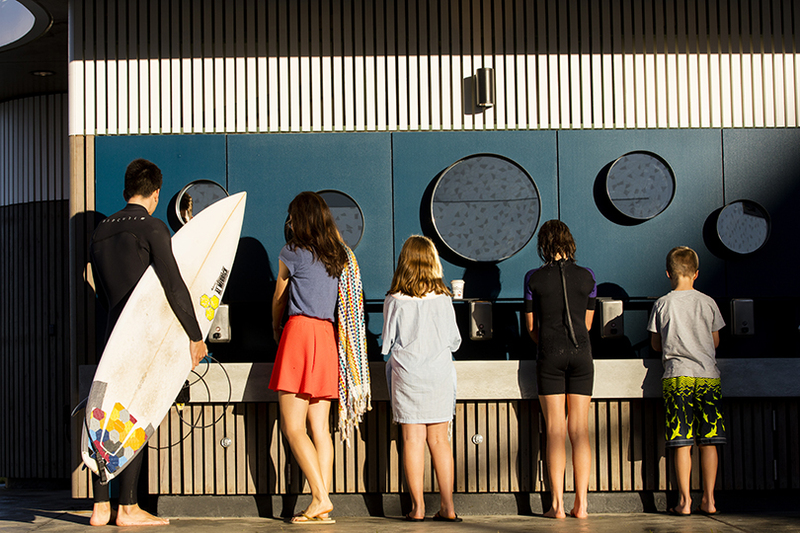 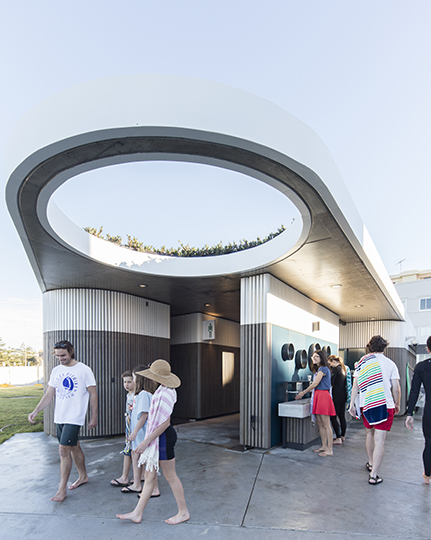 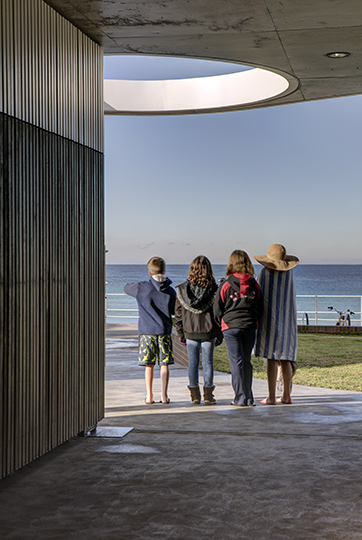 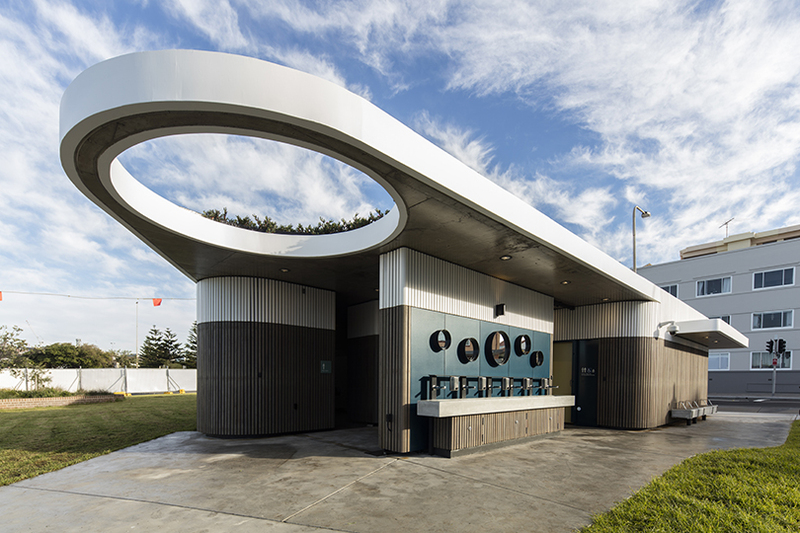 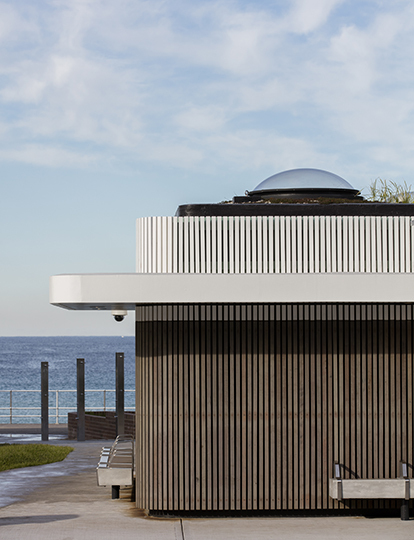 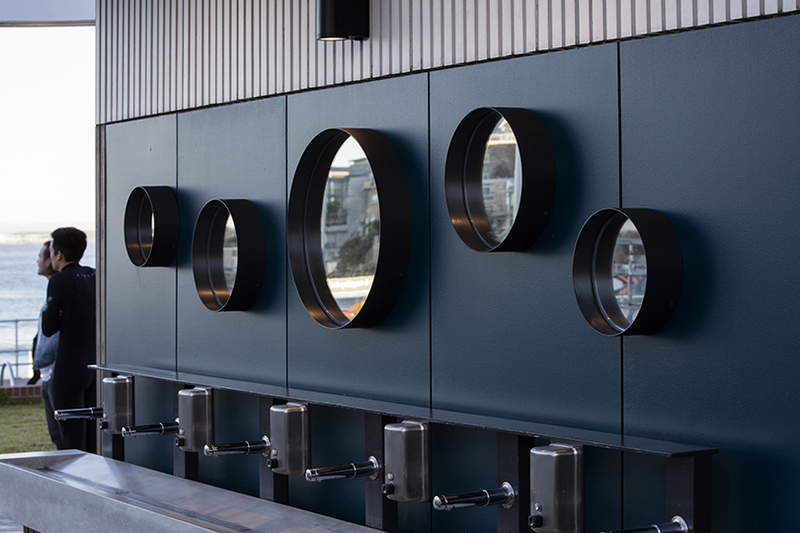 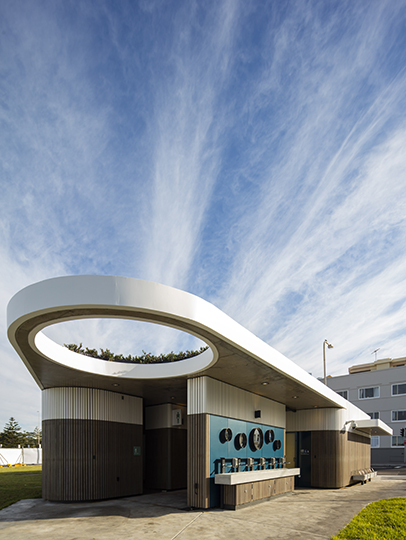 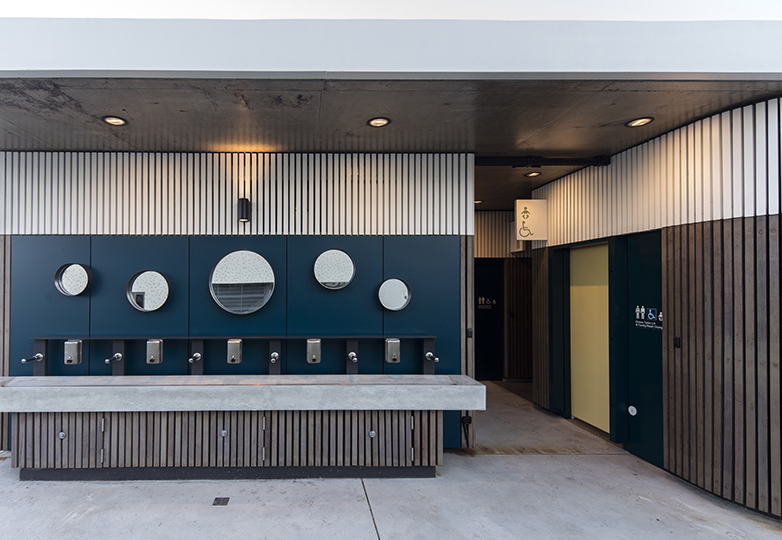 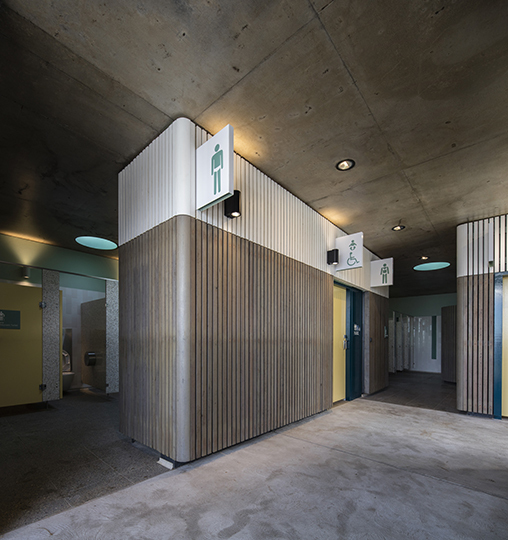 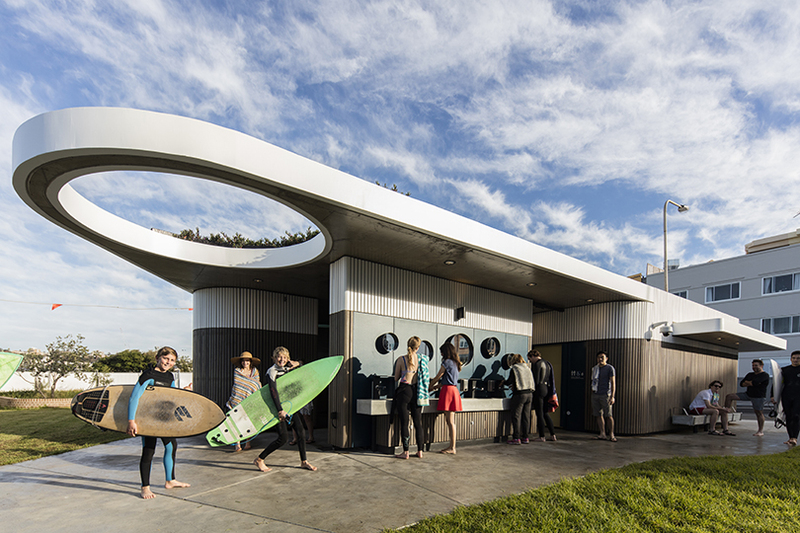 After significant negotiations regarding contaminated materials onsite, heritage buildings, aboriginal artefacts and Sydney Water wet wells, Grindley continued with the new build of a female, male and two accessible bathrooms, change rooms and outdoor showers and wash basins for the public at North Bondi Beach. 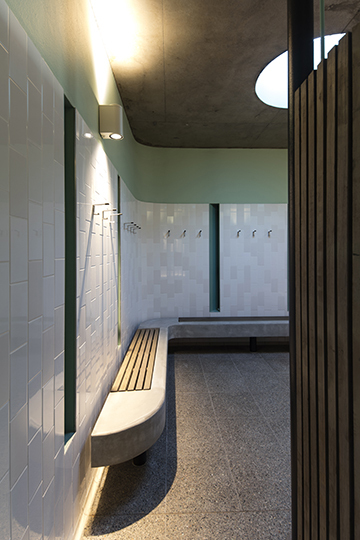 This also included the refurbishment of Sydney Water’s adjoining pump house. 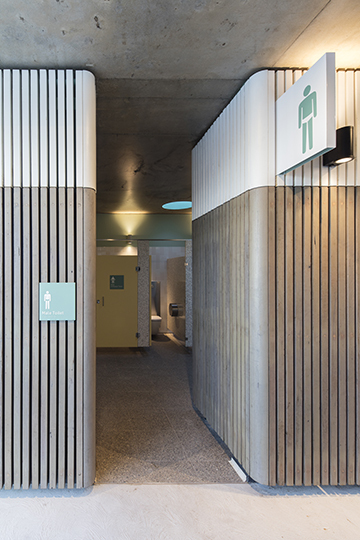 The design by Sam Crawford Architects utilised blackbutt and tallowwood timber batons on the outside of the building, which were salvaged from Waverley Council's old works depot in Waterloo. 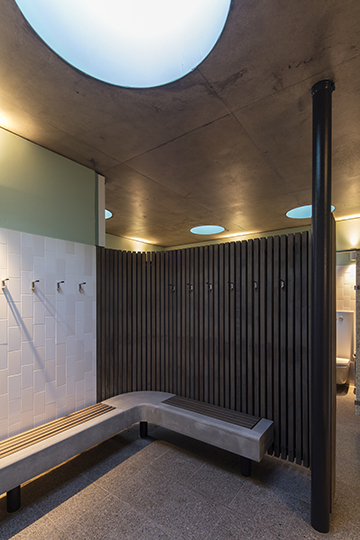 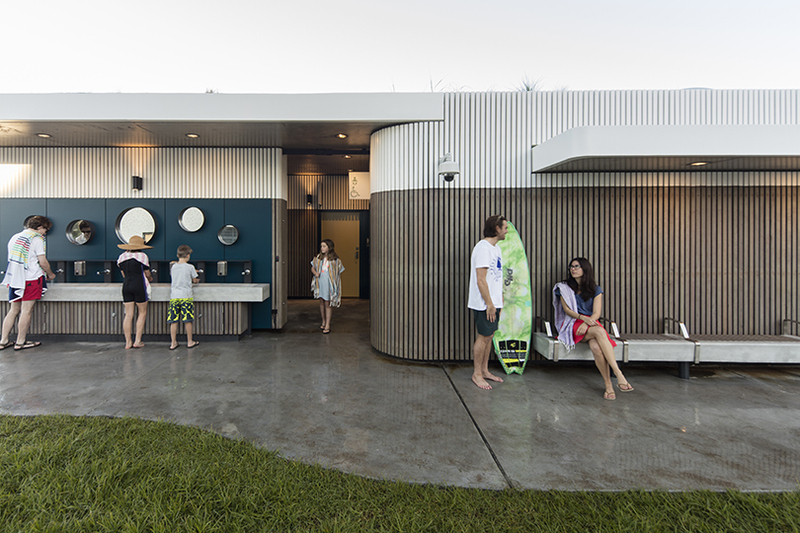 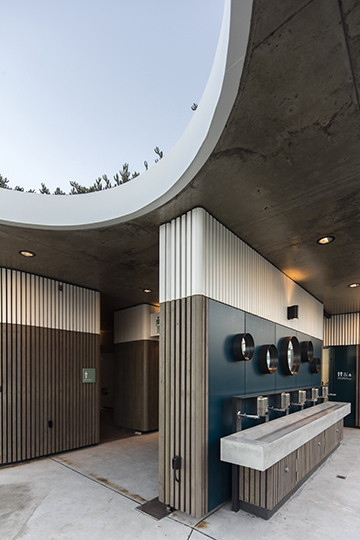 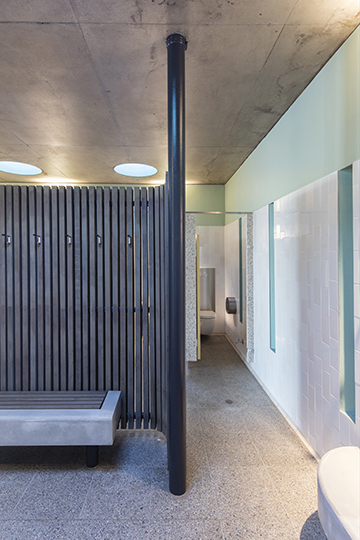 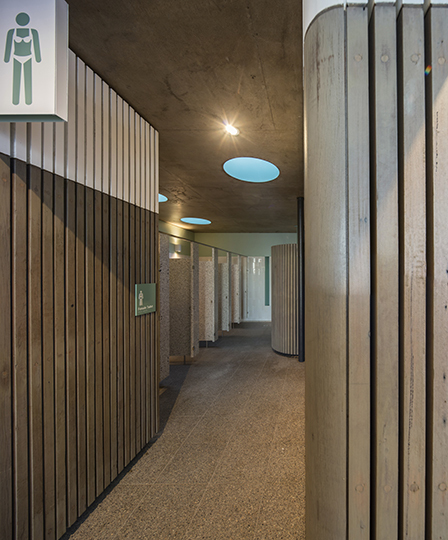 Both the amenities and pump house were clad with these vertical timber batons to integrate with the surrounding environment. 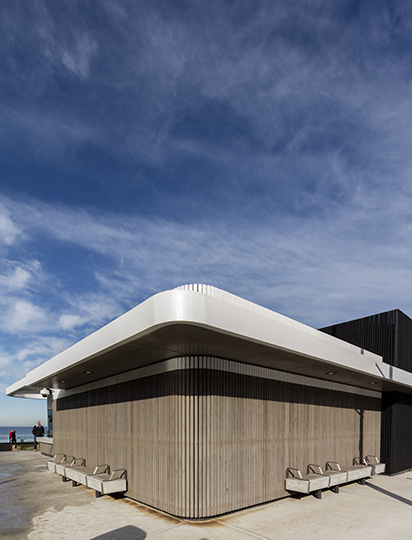 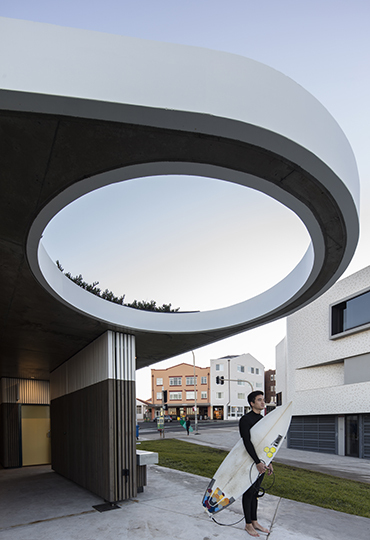 The building also incorporates a roof garden, which reduces the reflective glare and provides a greener outlook for the buildings that overlook the amenities.